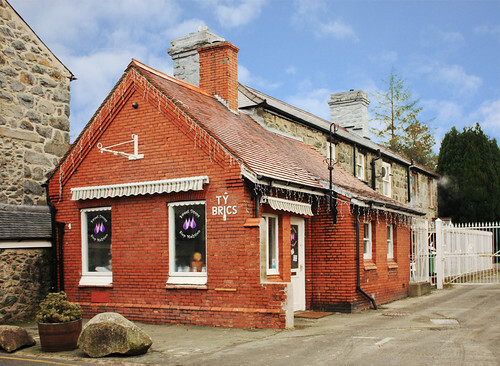 The building is currently a sweet shop selling all sorts of traditional confectionery. I love the name of that house! Like all Welsh place names, it's purely descriptive. I don't know why there is just this one brick building. Presumably the bricks were brought in specially by train. Of course all the houses were brick where I grew up in Manchester and in fact there was a disused brickworks near our junior school. Do you suppose they sell Humbugs? I'm sure they do, though I haven't actually been inside. Too much temptation! It's a good thing there's an ocean between me and Ty Brics!! !